In New York City, Shawna spent over 7 years working as a photo editor, photographer, and stylist for clients like: Ace Hotel, Anthropologie, Condé Nast, Christie's, Fab.com, Gilt Groupe, HotelTonight, Ideeli, MTV, Nicole Miller, Macys.com, and Sally Hansen. She honed her craft with the best of the best, which allows her to work quickly and efficiently both on set and in her post-production editing process. Shawna traded the skylines of New York City for Middleburg, VA with her Yorkie, Bella, and two horses Gigi and Winny in 2015. Upon relocating, she was first a Photo Editor for National Geographic Fine Art, then a Social Media Photographer for clients such as Lavazza, US Open, Kellog's, and Lou Lou Boutiques. However, her love for horses and touring the A show circuit prompted her to follow her dreams and quit her full-time job to devote herself to SAS Equine Photography. Shawna launched SAS Equine Photography in 2017 after shooting some friends' horses at Upperville Horse Show. In less than a year, Shawna has shot countless high profile clients and horses, including riders such as Scott Stewart, both across the United States and in Europe. She is a monthly contributing staff photographer for The Plaid Horse and Sidelines Magazine, the US photographer for Devoucoux, and has recently being featured in The Scout Guide, Middleburg Eccentric and Middleburg Life. 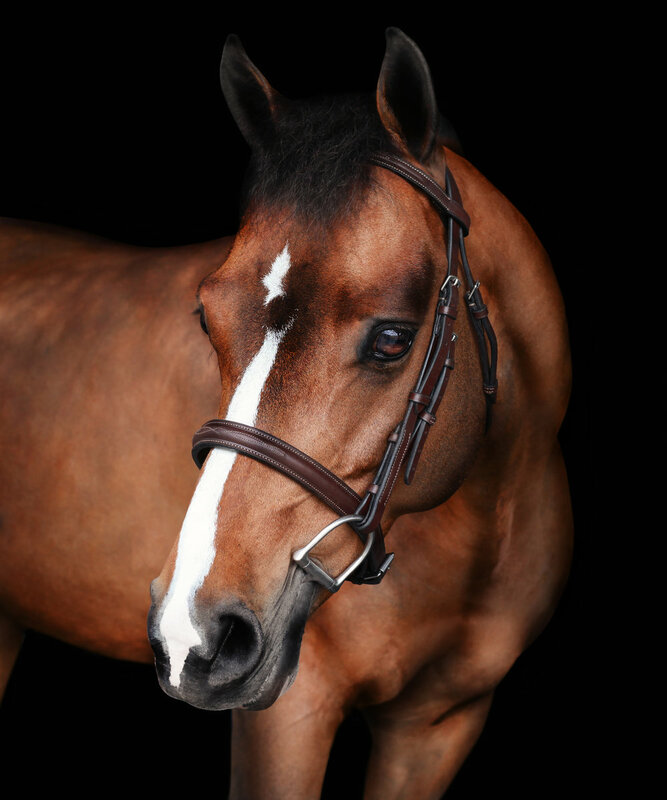 Shawna is an avid equestrian who grew up showing competitively in the Hunters on the East Coast. She now rides and shows her young 5 year old Hunter, Giczelle, with trainer Alan Lohman of Lohman Stables in Poolesville. When she's not shooting or riding you will find her spending time with family, traveling, enjoying a glass of wine at a local vineyard, and going on flea market treasure hunts. You can catch up with Shawna on the show circuit by checking her 2018 Upcoming Travel Dates below, or email her to get on her shoot schedule. Shawna and Gigi aka Giczelle at her parents' farm. This black background session is photographed either on the show grounds or right at your farm using all natural lighting in the barn aisle. Each session lasts approx. 60 minutes and includes 3 24"x20" high resolution digital files, as well as watermarked web-size images to share on social media. Starting at $300, subject to a $50 travel fee if out of state. This unique portrait session includes both your four-legged babies in one special image. The horse and dog are posed and shot separately in the barn aisle using all natural light, then merged together in Photoshop. Each session lasts approx. 60 minutes and includes 3 24"x20" high resolution digital files, as well as watermarked web-size images to share on social media. Capture the connection and love between you and your horse in this portrait session. The shoot lasts approx.40 minutes with up to two outfit changes and includes 3 24"x20" high resolution digital files, as well as watermarked web-size images to share on social media. Request this as an add-on to your Black Background portrait package for $50/high res 20"x24" digital file. Shoot Shawna a message if you're interested in booking a session either at your farm or on the show circuit. Upcoming Fall Travel Locations: Tryon for World Equestrian Games, MD Horse & Pony Show, Middleburg Classic, WIHS, Harrisburg.